Ahh, Spring— warmer weather, thawing ground, and afternoon rain showers. While welcoming the change of season, it’s also time to consider Best Management Practices (BMPs) for keeping the soil on site and preventing stormwater run off and sediment pollution. The ultimate goal for construction site runoff management is to prevent the pollution of stormwater runoff. Best Management Practices (BMPs) aim to slow the velocity, control the volume, and/or filter site run– off. Stormwater permits require BMPs to address erosion and sediment run-off, soil exposure, ground disturbance, compaction, buffers, outlet protection, and stabilization. Below are some BMPs to consider for construction sites. 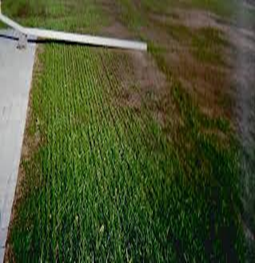 Stabilization, or planting ground cover, allows run off to infiltrate the ground providing nutrients to the plants and replenishing ground water. Stabilization is required by the Nebraska general construction permit as soon as practicable on sites and no more than 14 days after construction activities have ceased. When the slope is steep channeling the runoff through a slope drain can be an effective erosion control. 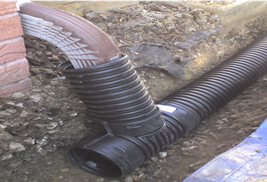 Drains may be made of pipe, s shown, or a constructed channel lined with rock, turf replacement mats, and wattles to slow the flow of water. Regular inspection, every 14 days and within 24 hours of a 1/2” rain event, is the best way to insure construction site BMPs are working effectively. 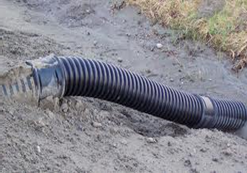 Look for evidence, or potential, of pollutants entering the drainage system. 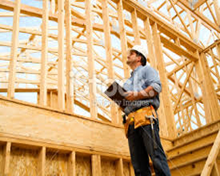 An inspection report must be identify any incidents of non-compliance with permit conditions and actions taken to correct the issue. If no incidents of non-compliance were found, the report must contain a certification that the site is in compliance with the Storm Water Pollution Prevention Plan (SWPPP). The reports should be retained with the SWPPP for up to three years after the permit expires or is terminated.